Mr. McBane has been a member of the Atlanta Symphony Orchestra viola section since 1998, serving as Acting Assistant Principal during the 2007-09 seasons. 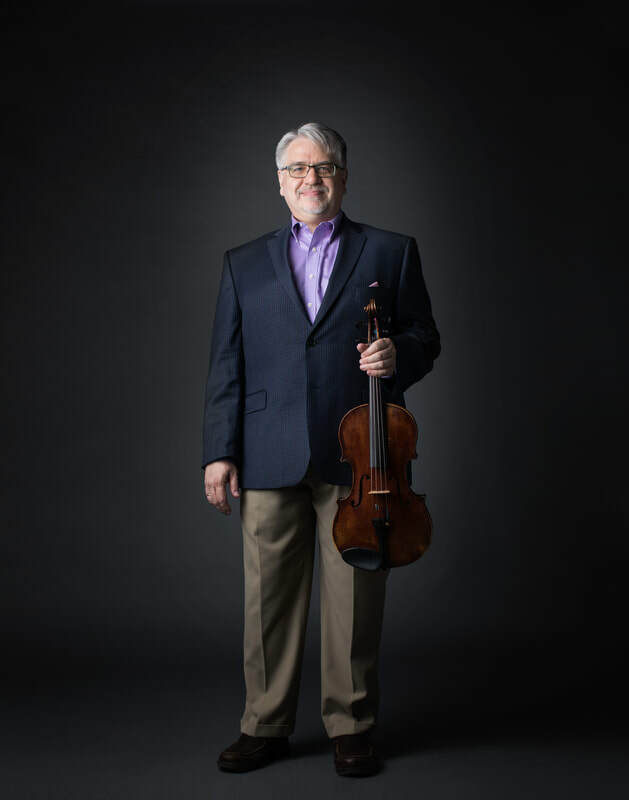 Before coming to Atlanta, Mr. McBane served as Principal Violist of the Nashville Symphony, and he has also been invited to perform with the Cleveland Orchestra, Chicago Symphony, Minnesota Orchestra and St. Louis Symphony. Lachlan earned his bachelor's degree in viola performance from Bowling Green (OH) State University, where he also pursued a double major in music education (intending to be a school band & orchestra director). A career in performance beckoned, though, and he completed his M.M. in viola performance at The Cleveland Institute of Music, studying with Robert Vernon, nationally renowned teacher and longtime Principal Violist of The Cleveland Orchestra. Mr. McBane was Suzuki-trained on violin from age 4, later adding the viola in 6th grade. His musical interests have always been broad: he played lead trombone and violin in jazz ensembles through college and has won awards at the Great Lakes Scottish Fiddling Championships. He has toured with Amy Grant, Michael W. Smith, and Cece Winans, and can be heard on albums by artists as diverse as Yo-Yo Ma, Mark O'Connor, and Bruce Springsteen, as well as on many of the ASO’s Grammy Award winning CD’s. Students from beginners to professionals have prospered in Mr. McBane’s private teaching studio, and he has been a valued clinician in public and private school music classrooms across the country for over 30 years. A member of the American String Teachers Association, he has twice been an adjudicator for ASTA’s National Solo Competition. For many years he coached/conducted for the ASO’s String Project with the Georgia Music Educators’ Association, working with hundreds of middle school students from Gwinnett, Cobb, Fulton, Dekalb, and Clayton counties. Lachlan founded Bravo Homeschool Strings in 2011. In 2010 and 2012 he was music director for Stringsational, the statewide orchestra festival for Georgia homeschoolers, sponsored by Joyful Noise Homeschool Band. He is also the founder and director of the Atlanta Summer Stringfest summer string orchestra camp. Lachlan has been a faculty member for the ASO's Talent Development Program, and has coached the Atlanta Symphony Youth Orchestra and the Cobb County Honors Orchestra. He is also the Artistic Director of Franklin Pond Chamber Music's Fall Into Spring student chamber music program during the school year. As an enthusiastic participant in the ASO’s community outreach programs he has helped promote music education and music appreciation among metro area youth in many venues including the Boys & Girls Clubs of Atlanta, Fulton County Juvenile Court, Fulton County Public Libraries, and the refugee center in Clarkston, as well as dozens of schools in metro Atlanta. He has also served as a faculty member at Blue Lake (MI) Fine Arts Camp and Bowling Green State University’s Summer String Camps.